In a globalising world, many mature economies share post-growth characteristics such as low economic growth, low fertility, declining and ageing of the population and increasing social stratification. Japan stands at the forefront of such social change in the East Asian region as well as in the Global North. 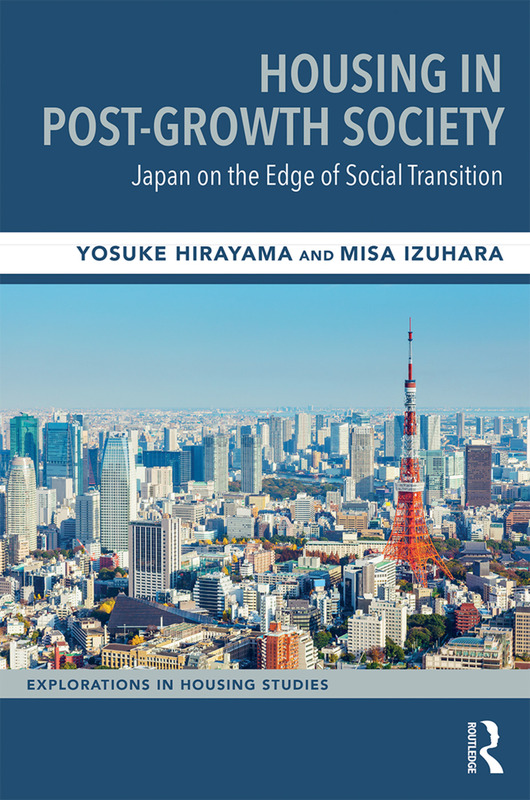 It is in this context of ‘post-growth society’ that housing issues are examined, using the experiences of Japan at the leading edge of social transition in the region. The post-war housing system was developed during the golden age of economy and welfare, when upward social trajectories such as increasing population, high-speed economic growth with rising real incomes, housing construction driven by high demands, increasing rates of home ownership supported by generous government subsidies generated new housing opportunities and accompanying issues. As we have entered the post-growth phase of socio-economic development, however, it requires a re-examination of such structure, policy and debates. This volume explores what roles housing plays in the reorganisation and reconstruction of economic processes, social policy development, ideology and identity, and intergenerational relations. The volume offers a greater understanding of the characteristics of post-growth society – changing demography, economy and society – in relation to housing. It considers how a definitive shift to the post-growth period has produced new housing issues including risks as well as opportunities. Through analysis of the impact on five different areas: post-crisis economy, urban and regional variations, young adults and housing pathways, fertility and housing, and ageing and housing wealth, the authors use policy and institutions as overarching analytical tools to examine the contemporary housing issues in a post-growth context. It also considers any relevance from the Japanese experiences in the wider regional and global context. This original book will be of great interest to academics and students as well as policy makers and practitioners internationally in the fields of housing studies, urban studies, social policy, sociology, political economy, comparative analysis, and East Asian Studies. Yosuke Hirayama is Professor of Housing and Urban Studies, School of Human Development and Environment, Kobe University, Japan. Misa Izuhara is Reader on Comparative Policy Research at the School for Policy Studies, University of Bristol, United Kingdom.